Imagine if the United States could grow 1 crop that provided the resources to create new industry, supported our economy, created a cleaner, more logical and better world. HEMP is NOT Weed, it IS an industry. 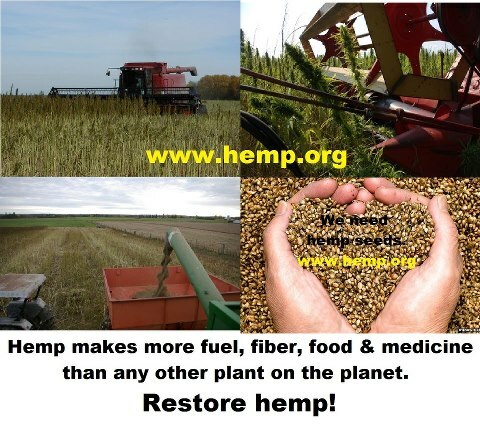 Hemp seeds make biodiesel fuel. Hemp makes more biofuel than any other plant. When we allow farmers to grow hemp for its best fuel attributes, regardless of THC content, we will realign our whole economic system by replacing fossil fuel with biofuel. 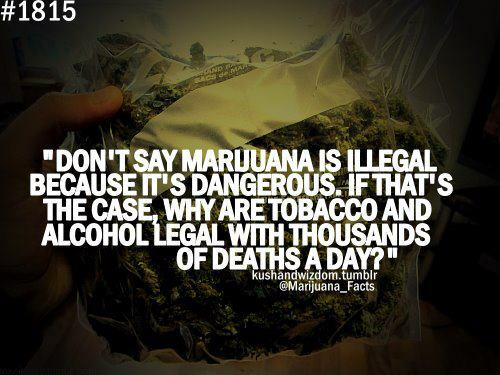 The laws against marijuana are wrong. Marijuana prohibition is a conspiracy from the rulers of this world today, the very wealthy, the oligarchy, to keep the wealth in their hands. Petroleum is capital intensive, hemp is naturally decentralized. Very few people in this world have enough capital, enough money, to compete in the petrochemical industries. You can buy 10 hemp seed presses for the price of one small car. It takes billions of dollars to build an oil refinery, and they are incredibly toxic. 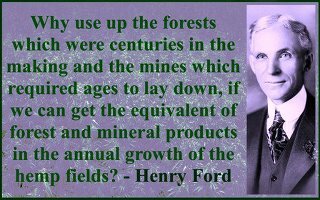 Hemp will create untold multitudes of jobs and return economic control to the people. No more wars for petroleum when we start to use hemp again, instead. Hemp can lead the way to economic and ecological sustainability, and help save the remnants of our biosphere's precious heritage, the diversity of life that we should bequeath to future generations. OMG""""ALTHOUGH WORDS ARE NOT ENOUG TO THANK DR ZACK FOR SAVING MY WIFE FROM DYING OF CANCER DISEASE"""
Customer service:- >>EMAIL : keystonemeds(at)protonmail(.)com . ^We offer safe and discreet overnight shipping (24/H) to clients . We have a variety of barbiturates and especially Pentobarbital (Nembutal) which is the most common. These drugs are available as pills, powder or liquid. They are also available is different doses. Different can be administered for different uses. 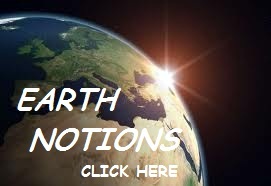 "A weed is a plant whose virtues are not yet known"
Focusing our intention for one minute a day, we CAN change the world!